Because the happiest time of the year can often feel more stressful than cheerful. The holiday season is meant to be the most wonderful time of the year. Yet, it can feel challenging to maintain a happy disposition during the busyness of the holidays. Even if you do enjoy the energy of the holiday season, sometimes the added hustle and bustle can result in feeling worn down and stressed out. If you are looking for ways to combat stress and feel good over the holidays, here are 11 strategies to help you feel your best. Instead of opting to scroll through endless highlight-reels on social media, make this be the season of nurturing real face-to-face interactions. Interactions that aren’t merely being staged for your highlight-reel, if you know what I mean. In all seriousness, put down your phone when you are in public and instead strike up a conversation with the human beings around you. Put down your phone when you are with your loved ones. Limit screen time and instead enjoy the people you are with. If you find yourself feeling lonely or bored, don’t turn to your phone for comfort. As Mark Twain wisely said: “Comparison is the death of joy.” You won’t find comfort in comparing your real life, with other’s highlight-reels. It’s simply not realistic. You may however, find comfort in nurturing the connections you have with the special people in your life. It is also comforting to unplug from your devices and get outside in nature, get lost in a good book, or get an uninterrupted night’s sleep. Take a break from your devices this holiday season and see how it feels. A good night’s sleep is like magic. When we are sleep deprived, holiday stress can feel beyond amplified. According to sleepfoundation.org, “sleep is a vital indicator of overall health and well-being.” Click here to check out their downloadable recommended sleep times chart. Sometimes a solid night’s sleep is exactly what we need to hit the restart button and experience our holiday season from a fresh perspective. Arianna Huffington’s newest book, The Sleep Revolution: Transforming Your Life, One Night at a Time is a wonderful resource to inspire us to change the way we view our relationship with sleep. Getting regular sleep this time of year is a consistent way to help reduce stress. It’s much easier to start the day fresh, with a new perspective, when we are feeling rested and recharged. Your body is your most valuable asset — treat it well. Much like we wouldn’t put soap in the gas tank of our car, we shouldn’t be consuming food that is overly processed and filled with chemicals and junk. The holiday season can lead to more eating out and snacking at tempting holiday spreads. It can be challenging to make healthy choices. I like to follow the 80/20 rule. Aim for 80% of the time making healthy choices, like whole foods that are alive and nutrient dense. The 20% is reserved for my favorite holiday treats or enjoying a couple drinks with friends. The idea isn’t to micromanage every aspect of our lives, so that it isn’t fun anymore. It’s more about understanding that how we fuel our bodies makes a difference in how we feel. Moderation is key. When we feed our bodies with nutritious food and clean water, it makes a world of difference in how we feel. When we feel good in our bodies, it’s so much easier to maintain a bright disposition. if it’s within your reach this holiday season, spend some time being in service to others. Give back to your community (locally or globally). Some ideas include: local food banks, schools, hospitals, animal shelters, or a global cause you are passionate about. A couple of my favorite global organizations I feel honoured to support include: KIDS International Development Society and the Waterbearers. A gift I give to myself every year, is helping at my local toy drive. There is nothing more heartwarming than being in service to others and knowing you are giving back to others truly in need. Giving without expectation of anything in return, has a way of taking our mind off our worries, and instead directing our time and energy where it really matters. Smiling is a universal language that expresses the true spirit of who we are. It is the same regardless of age, gender, or ethnicity. Everyone wearing or receiving a smile shares an understanding of what it means, and has the opportunity to be affected by it. Smiling spreads positivity into the world. There is something about smiling that creates an instant feeling of lightness and happiness. Having a keen awareness of the benefits of smiling could be enough for some people to wear one regularly. However, during the holidays, life can get busy with a lot of rushing around. It can become second nature to get swept up in tasks, to-dos, and endless thoughts, and the urge to smile and feel light can be suffocated. This is why it is especially important to begin a daily practice of intentionally smiling, whether that is something you create personalized reminders of or something you become mindful of trying during the day. A happy demeanour is contagious, and is not only a gift to others around us, but also a powerful gift to ourselves. When we feel happy and light, it is much easier to feel good about ourselves and to have positive interactions with those around us. The simple act of smiling is a wonderful way to practice being happy in the moment and loving the life you are in. Give it a try all throughout the holiday season and see what happens when you wear your smile. Save heated discussions until after the holidays if possible. Instead, give yourself permission to completely shelf the issue (without feeding it) until after the holidays. If it still feels like an important issue after the holidays, then deal with it then. My bet is, it will be long forgotten, or you will shine different perspective that isn’t as emotionally charged. Instead of feeling overwhelmed, from saying yes to more holiday cheer than you feel cheerful about. Remind yourself, it’s okay to say no. Go for quality over quantity, and notice how your whole holiday mood shifts. Sometimes saying no means putting healthy boundaries in place with loved ones. Other times, it’s a matter of better organizing holiday calendars for more free time and a sense of freedom. Ease up on yourself. Know that it’s okay to design the holiday season on your own terms. Create the holidays in a way that feels good to you. Trust in yourself and your feelings to put you on the path that feels best to you. Less is more because you are always enough. If you are blessed to have one special person or more in your life, who wants to spend time with you over the holidays – then slow down and take that time in. There is nothing worse than finally settling down with your loved ones, and filling that time with distraction, instead of connection. Do yourself and your loved ones a favor – give them the gift of your full undivided presence this holiday season. Leave your phone behind, or make sure it’s out of reach. Listen more and talk less. Take in every moment with your loves. 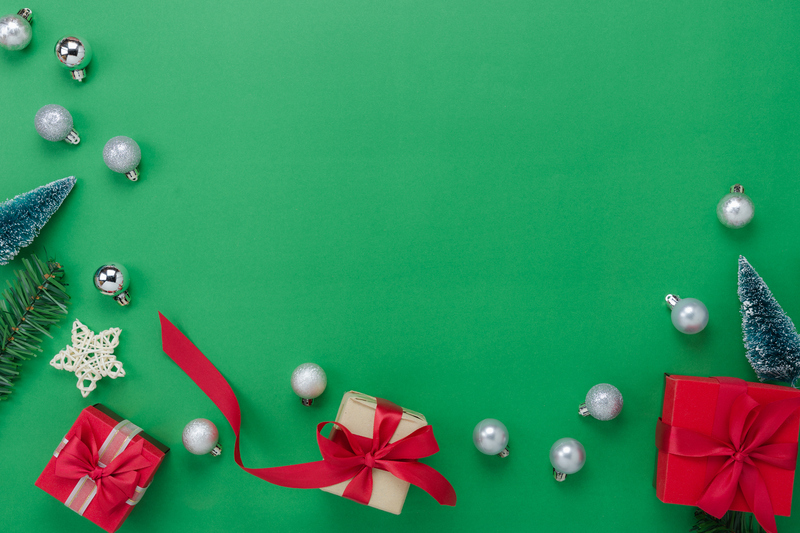 Save yourself some time and financial stress – limit trimmings and trappings and instead spread your unique cheer. For the love of all things right in the world, don’t buy what you can’t afford just because it’s Christmas. That isn’t an act of love. It’s not kind to yourself, the landfill, or your gift recipient. Energetically, it’s much kinder, to be joyful and spread well-wishes to others around you. Instead of stretching your wallet past what is comfortable, opt to give homemade gifts, acts of service, or donations to a worthy cause, if that’s within your reach. The best gift I’ve ever been given is a year’s worth of car cleaning (inside and out) from my husband and sons. Every weekend they clean my car – it’s the gift that keeps giving, and I love everything about it. Think outside of the box (literally) and come up with some gift ideas this year that feel as good to give, as they will to receive. Remind yourself, as often as you need to, that all things in life are temporary – and that includes the holiday season. When we are stressed, it can feel like we are in the eye of a storm, without a way out. This is when deep intentional breathing can become our lifeline. If you feel wound up in traffic, in holiday line ups, or just at the thought of having to do one more thing – breathe your way through and see what shifts. Take a deep, intentional breath in, hold for the count of 4 and then focus on exhaling slowly. Repeat as often as necessary until you quiet your mind a little and feel more grounded. Then shift your narrative. If your story is: I am anxious, angry or frustrated. See what changes when you say to yourself: it is okay to experience anxiety, anger, or frustration etc. They are just experiences. The same goes for joy, abundance and excitement. All feelings are okay. This little reminder can help take the edge off and ease the feeling of being swallowed by your current state. There is a lot of peace and acceptance for what is, when we can see that nothing lasts forever. Our holidays will come and go. We can make the most of our moments. If those moments don’t feel great – we can find comfort in knowing that this too shall pass. If all else fails, connect inward and see your life through the eyes of gratitude. Instead of hyper-focusing on to do’s and worrisome woes, bring it back to basics. Name out loud what you are grateful for: one thing you can see, one thing you can touch, one thing you can hear, one thing you can smell, and one thing you can taste. Don’t let the busyness of the holidays cloud your view of what’s most important in life: the gift of being alive on this amazing and colourful journey. 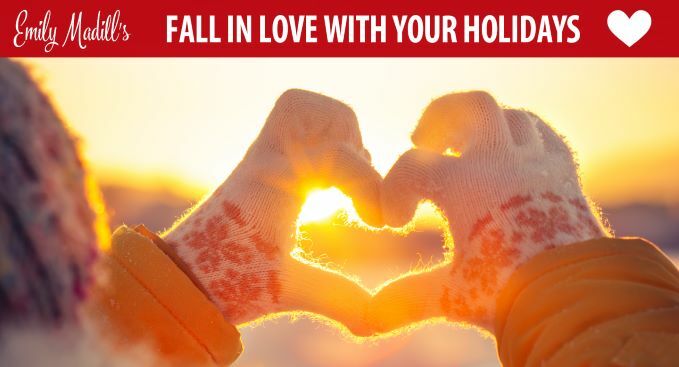 As a certified life coach (ACC), I’ve put together a FREE resource for those who find the holidays stressful called: Fall in Love with Your Holidays. If you feel overwhelmed and would like more life-balance and happiness— come check out my coaching packages combined with my E-Course, ‘Fall In Love With Your Life, One Week at a Time’. It’s a chance to create a daily happiness practice that will help you fall in love with your life.